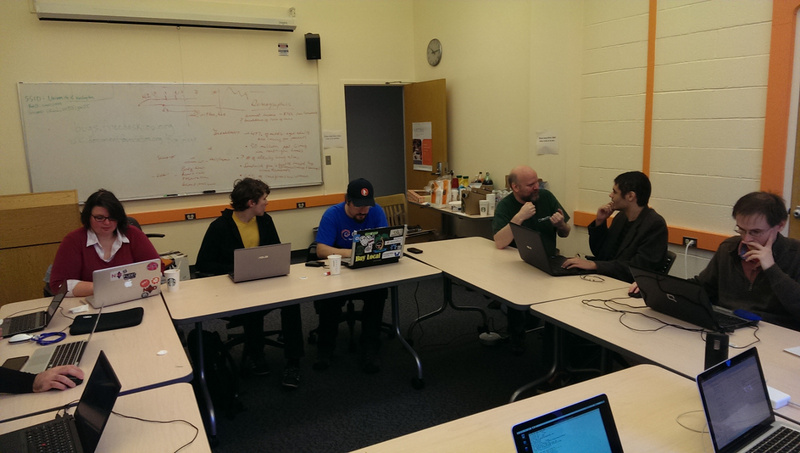 Today I’d like to talk about the LibreOffice Hackfest (LibreFest) that we did in Seattle on October 26th. This hackfest happens to be the very first hackfest event that I have participated outside of those held at the annual LibreOffice conferences, and the first one ever in the United States. Quite frankly, I didn’t really know what to expect going into this event. But despite that, I’m pleased to say that the event went quite well, with 32 participants joining the event in total, which was much more than what we had anticipated. 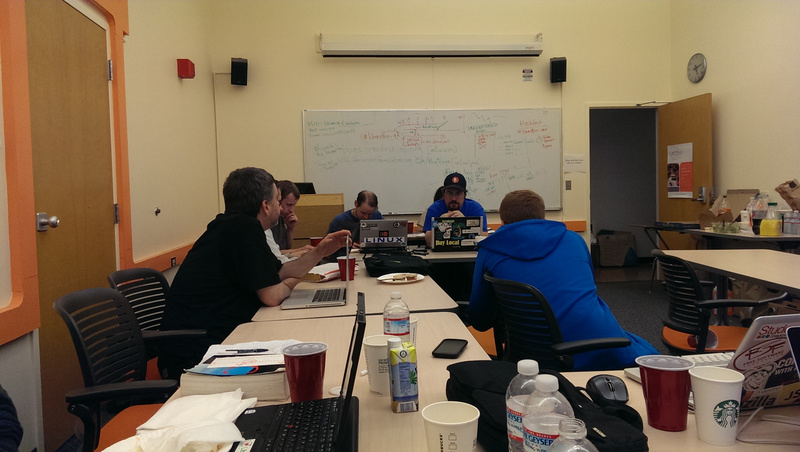 Hackfest took place inside the Communications Building at University of Washington, located in downtown Seattle. We borrowed a small-size class room to host the event, and later brought in extra chairs to accommodate everyone. Four of us were there from the LibreOffice project – Robinson Tryon, Norbert Thiebaud, Bjoern Michaelsen and myself, though Bjoern had to leave early to catch his flight. Some of us came to the venue around 9 AM to set things up, and people started showing up around 9:30. Once the event officially started at 10 AM, we split into 2 tracks: the hackfest track where people work on building LibreOffice from the git repository & making changes, and the QA track where people test LibreOffice to report bugs. Robinson assisted those in the QA track, and the rest of us helped those in the hackfest track. We spent much of the morning setting people up and getting their builds going, which was quite a challenge in and of itself. We eventually got everyone building one way or another, and the availability of a virtual machine environment was quite helpful for some of the participants. Others opted to use their own machines to build it on. Some participants came late and joined in the afternoon session, while others only joined the morning session and had to leave in the afternoon. About half of us stayed there until late evening. Overall, it was great to see so much interest in our project, and pleased to see that many decided to stay until late to get things done. 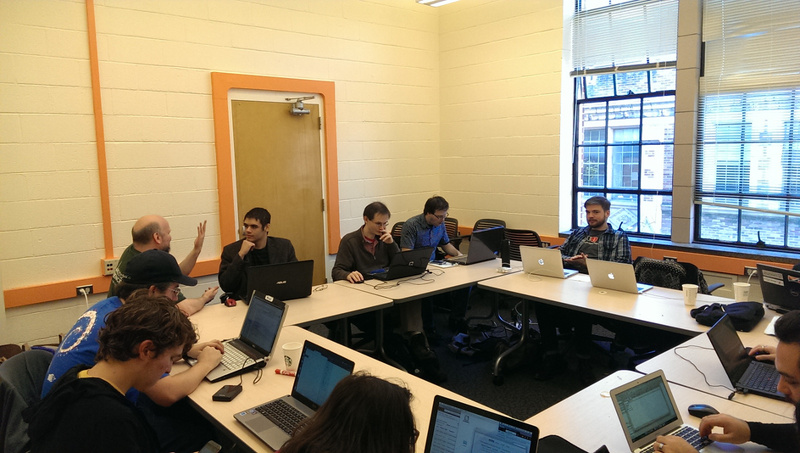 Overall, we had a very successful hackfest event. I would like to thank Robinson for working hard to organize this hackfest, and Lee Fisher who was very helpful in organizing the event especially in handling matters on the Seattle side. Two things I’ve learned from this event are: 1) access to a very fast virtual build environment can be quite helpful, and 2) Slackware is still very much alive! With regard to the first one, I feel that we should put more emphasis on having the participants use virtual machines to build LibreOffice for future hackfest events, and have mentors adequately trained to set it up for them. With regard to the popularity of Slackware, well, we need to encourage more participation from Slackware users and encourage them to share tips on building LibreOffice on Slackware in our wiki. I hope those who came to the event learned something worthwhile (I certainly did), and I hope to see them again in the LibreOffice project!